I have a question you may or may not want to answer, as it deals with one of your competitors. I was looking into the Pinhawks as a single length club option. Their price point is much cheaper, but what would I be getting for that price? Is the technology up to par? As far as I can tell all the clubheads weight the same at approximately 272g, and that’s it. Some guy in Edmonton has the heads and I am actually going to go check them out this week. I would love your honest opinion on them. 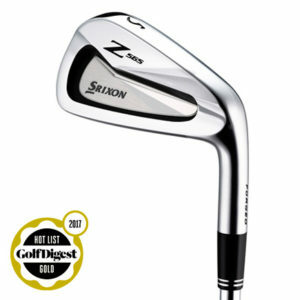 I will also mention that on their website they do actually mention your clubs as an alternative and recommend if you do not buy from them then purchase from Sterling Irons® as you guys are on the leading edge of one length. Thank you again for the interaction. Sure thing, I don’t mind commenting on the differences between the Pinhawks and the Sterling Irons®. The reason the price is so different first of all is because the Pinhawks are one-piece investment cast stainless steel iron heads with a common polish and tumble finish. That’s the lowest cost type of iron head in the golf industry today. The Sterling Irons® #4, 5, 6, 7 irons are a 2-piece investment cast carbon steel head with a high strength steel high COR face plate welded to the body, after which the heads are nickel chromium plated. The Sterling Irons® #8 to LW heads are a one-piece investment cast carbon steel head with NiCr plating to finish the heads. 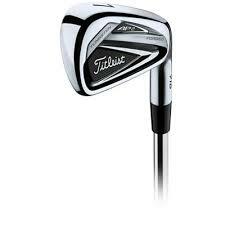 Those head construction types are the most expensive in the golf industry for an iron. Performance-wise I can list the differences. 1) The Pinhawks used to be made to a single length of 37.5″ which is a 6-iron length. I do not know if they changed that recently or in the past couple of years since I designed and we intro’d the Sterling Irons®. A 6-iron length makes it a little more difficult to adapt to the 9, PW, SW in the set because the 6-iron length makes them about 2″ longer than conventional wedge lengths. It would be easier to hit the high number irons and wedges farther than you need because of this much longer length. 2) We did the Sterling Irons® based on an 8-iron length because most people hit an 8-iron more consistently than they do a 6 iron, and because an 8-iron length makes the wedges only an inch longer than what they are in a conventional set. So, that allows the wedges to be easier to adapt to and less likely to hit the shot farther than you wish to. 3) The only possible downside of an 8-iron length is that it means the very low loft irons are harder to hit high to fly and carry unless you have a higher clubhead speed. I did offset some of this by designing the Sterling #4, 5, 6, 7 irons with a high COR face to add more ball speed to help get the shot height and carry distance up. But if you do not have a clubhead speed with your current 7 iron of 85mph or higher, we would not recommend you try to use the #4 iron in the set. And if your 7-iron clubhead speed is under 75mph, do not include a 5 iron in your set. With the Pinhawk #4 iron at a 6-iron length, you probably could hit that iron ok if your 7-iron speed is 80mph or higher. And with the Pinhawk 5-iron you probably would be able to hit it high enough to be happy with it at a 6-iron length if your current 7-iron speed is over 70mph. 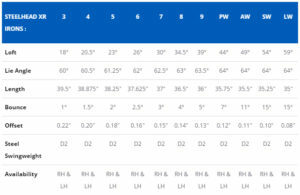 But again, 6-iron length is more difficult to be consistent with than an 8-iron length, and 6-iron length makes the wedges harder to get used to for accuracy control and distance control. 4) Also, the Pinhawk heads are not made with a weight bore inside the head, so it is more difficult to achieve a wider range of swingweight for whatever shaft weight and grip size and length you might need. All the Sterling Irons® heads have a weight bore to allow weight to be added during assembly so that it is possible to achieve a wider range of swingweights for different custom shaft weight and grip weight and length requirements. 5) In addition, bending the Sterling irons for custom loft and lie fitting needs is easier because the heads are carbon steel. Pinhawks are harder to bend for custom loft and lie because they are cast stainless steel. That pretty much covers the differences in the two models, so I hope this helps. Bryson DeChambeau won the Omega Dubai Desert Classic in Dubai, United Arab Emirates on Sunday with a tournament record score of 24-under par. This is his 6th professional win of his career using single length irons. In the Official World Golf Rankings he is currently ranked 6th in the world. Single length irons are on fire! In honor of his latest victory, we are happy to extend another offer to you for 10% off on the purchase of Sterling Irons® single length irons via https://sterlingirons.com between now and Friday, February 1st, 2019. Callaway keeps finding ways to improve everything they do. The new Steelhead XR irons perform like a game improving iron should. Callaway has coined the phrase, “Signature shape meets breakthrough performance” and boy are they right. Their industry-leading next generation 360 face cup deliver the perfect combination of speed, forgiveness, distance and control in a Callaway iron.When they are talking about distance, they mean distance. As a single digit handicapper, I can carry my 8 iron between 160 and 165 yards. When I hit the Steelhead XR’s 8 iron, I was carrying between 169 and 175 yards. The pop and jump you get off the face of these clubs are like no other I have hit recently. I was standing there in disbelief that I just carried an 8 iron 175 yards, with little to no wind affecting the ball. Having said that, I found that my ability to shape the ball in fades and draws was a little more difficult. These clubs wouldn’t be what I would look for if I was buying new clubs, but for the average weekend golfer, you will see a major improvement with your consistency, and distance.I researched about the ultra-thin 360 face cup technology that Callaway was referring to on their website, and it says right on there that this new technology increases ball speed with greater efficiency on BOTH center hits and mishits. There is an insertion of a steel-infused polyurethane layer just behind the face of the club that really does give it a little bit of extra impact in terms of sound and feel.The cavities are made from 17-4 stainless steel too, which is always a good sign when researching clubs. The sound is a little bit hollow, so it doesn’t quite have the ‘thwack’ some may hope for, but the feel is still excellent at impact. The piece of technology, with respect to the build is the so-called “hollow thru bore.” This is effectively just a step up from the original bore-thru hosel (where the shaft runs from head to sole), which cunningly removes needless weight in the hosel, giving engineers a lot more to play with when it comes to strategic areas of the clubface, and giving MOI and forgiveness a boost.From the second you take your stance and ground your club to address the ball, these irons practically scream forgiveness. It’s amazing the psychological effect a good look can have. Diehard Callaway fans will appreciate the familiarity of that thick topline; the semblance of an offset, and of course, the longer-than-average head. In terms of the badging within the cavity at the back, they’ve done it in a pretty classy manner, and I certainly don’t mind the non-traditional hint of color there. The words ‘Steelhead’ are imposed on a holographic sheen, which is a little gimmick that might tickle your fancy too. 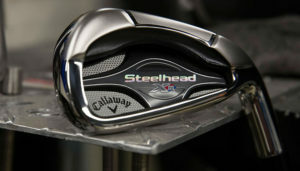 All in all, for anyone from an 8 to a 36 handicapper, it’s pretty safe to say that you’ll look and feel the part with a bag full of Callaway Steelhead XRs.Callaway has a reputation for selling a lot of irons. These clubs are going to appeal to golfers of many shapes, sizes and abilities, and they have priced them very cleverly. These are very impressive game improvement irons, which encompass all that you’d expect in terms of distance and forgiveness. 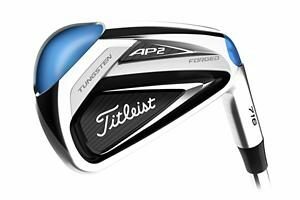 Because of the modestly price tag on this set, I feel there will be a lot of buyers out there if they get a chance to hit them at a demo day or at your local sporting goods store. Mizuno is taking things up a notch with three stunning new additions to their JPX line. Traditionally, JPX Irons have been geared towards game improvement and forgiveness, but those clever engineers over at Mizuno have found some new space-age metal that make up these irons that both tour players and bogey golfers are going to love. Today, we’re focusing on what we think is probably the coolest new addition to the JPX line: the JPX 900 Hot Metal Irons. So, when you are standing over your ball, you see a beautiful, eye catching blade look, but still comes with the muscle behind it. When you strike your ball, in some cases you can actually “feel” your ball compress which reminds you of that soft and solid feel that Mizuno is known for. A new steel alloy material with the catchy name of Chromoly 4140M allowed Mizuno club designers to create a full 360-degree deep undercut on the back of the iron, giving it the thinnest face in company history at just two millimeters. 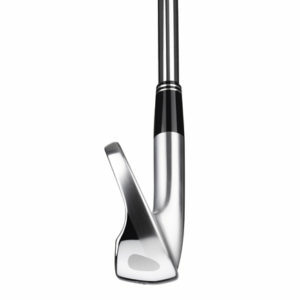 The face on the Mizuno JPX-900 Hot Metal Irons is incredibly hot. The ball comes off the club face extremely hot, giving you faster ball speeds and more distance. That funky new Chromoly metal combined with the 360-Face Cup Technology allowed Mizuno club engineers to create a club face with varying thickness and an expanded hitting area. A larger club face means a more forgiving club. In a nutshell, your mis-hits are going to be straighter and shots hit well will show even better results. 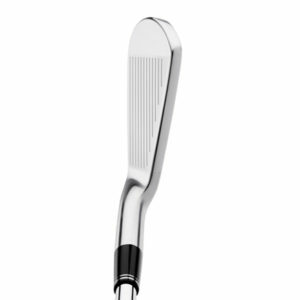 The face on the JPX-900 Hot Metal Irons is incredibly thin and it’s kept strong with Mizuno’s Power Frame. The sound at impact is one of the best we’ve heard and that definitely inspires confidence. Mizuno actually removed their handicap spectrum with the new lines of clubs, so they aren’t specifically recommending the Hot Metal Irons for a specific golfer. That being said, the club face is a bit smaller than previous JPX generations, which better players will appreciate, while the new technology makes it a more forgiving iron, which is great for mid-high handicap golfers. 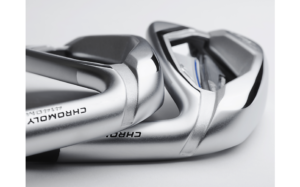 Mid-handicap golfers (5-16 handicaps) will probably see the biggest benefit from these irons, but better players and players with high handicaps could also benefit from the forgiving and fast technology. 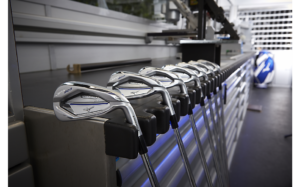 Your best bet is to meet with a Mizuno Certified Custom Fitter where you can test the Mizuno Hot Metal Irons along with several options to find the best club for your game. The stock shafts is True Temper’s Dynamic Golf AMT, the interesting piece about these shafts are that Mizuno went with an ascending weight design to improve the overall performance of each iron. Meaning, the 4 iron is going to be lighter than the pitching wedge. The lighter iron on the longer shaft will help golfers get more height on the ball from farther out allowing them a better height coming down and holding greens. The heavier shaft for the pitching wedge will allow better control for those shots when you have to be on target. 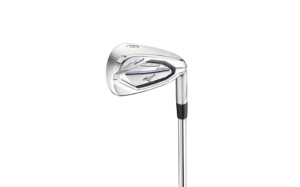 Mizuno JPX-900 tours retail for $1,199 and come in steel or graphite, also there is no upcharge for custom shafts or grips. 15% stronger material than 17-4 pH Stainless steel provides the added strength for our hottest face ever. Ultra-thin face combined with our re-engineered CORTECH multi-thickness design provides superior initial ball speed for maximum distance. 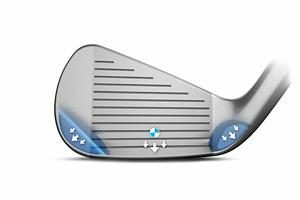 More mass is pushed to the extreme perimeter of the club head for industry leading MOI POWER FRAME geometry is a result of our Harmonic Impact Technology. The rigid POWER FRAME provided an extremely solid impact sound while allowing maximum face rebound.